﻿A bag of tricks approach to parenting the 1 to 5 year old The early years of parenting are often a tricky and challenging time — a time when you will watch your baby fade and a child emerge, a time of amazing growth, development and change. Your ‘bag of tricks’ to deal with these changes must take into account your child’s development and cognitive abilities at any given stage. 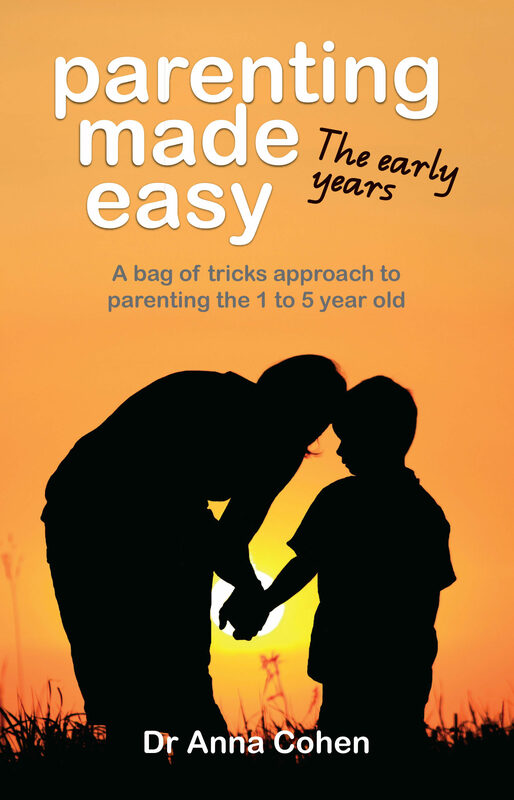 Parenting Made Easy: The Early Years provides ideas for your bag of tricks that have worked for thousands of families to foster children’s positive self-identity. The strategies advocated promote positive nurturing relationships while equipping parents with skills to manage problem behaviour. Children, by virtue of being children, will make behavioural errors and so it is the job of parents to love and believe in them and to model and teach respectful communication. Such authoritative parenting is characterised by firm, warm, expectations with clear limit setting while encouraging independent thinking and displaying unconditional love. Parenting Made Easy: The Early Years will help you become the sort of parent you want to be by celebrating your resourcefulness and finding effective solutions to the challenge of parenting the preschooler.